It’s time to be spontaneous and give in to your wanderlust! 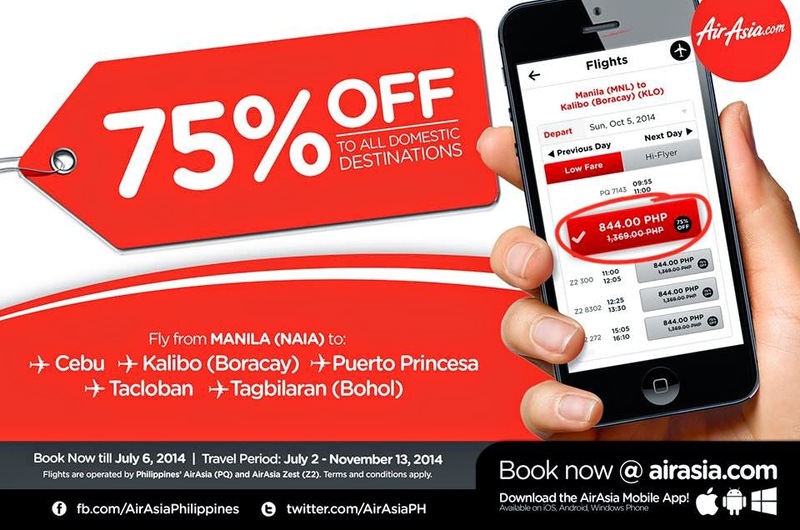 Book your seats to Bohol, Boracay, Cebu, Puerto Princesa and Tacloban now! Away from your personal computers and is always on the go? No worries! With the only low-cost airline app in the country, you can book anytime, anywhere! Download the AirAsia Mobile App now at http://airasia.com/apps now or search ‘AirAsia’ on your app market. There’s more! You can Manage Your Booking, Check-in your flights and redeem BIG points for free flights in the future via this app! Now that’s taking low-cost flying into greater heights! Download this app now on your smartphones! Happy booking and apping!